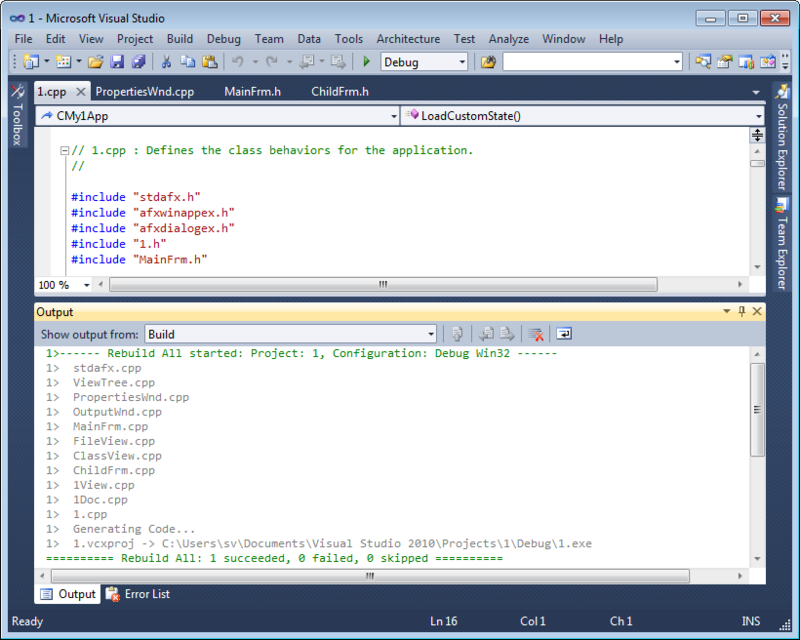 You can download the free VSColorOutput extension for Visual Studio 2010 and Visual Studio 11 from Visual Studio Gallery. You can get source code for the extension from Codeplex. 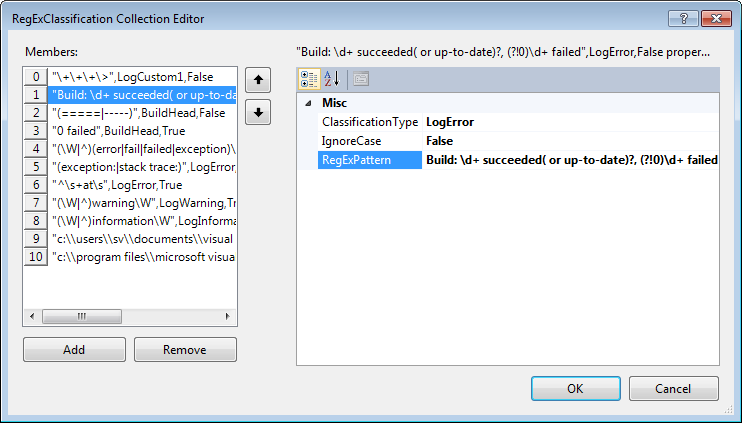 Version 1.2 includes a new feature: Stop build on first error. Seriously. 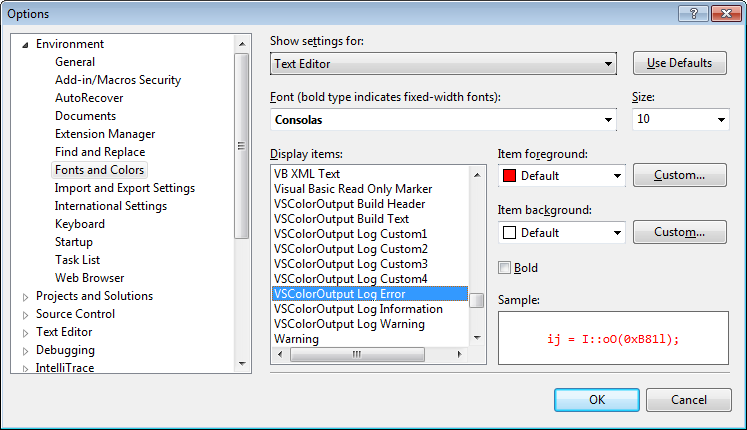 How is this not the most downloaded plugin for VS. This thing is awesome. Thank you!! 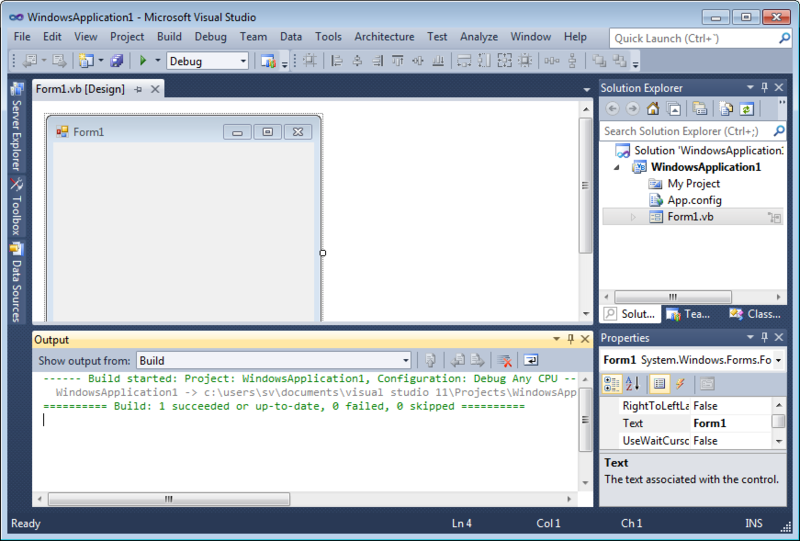 I agree with the author that although the build and find highlighting is nice, where this really shines is in debugging. Every large project I’ve ever worked on has some formatted debugging output which is Log4J-like, and the ability to write custom regexs for filtering is just awesome. The other thing that inevitably happens, is someone mis-types LogInfo() instead of LogError() for an important error, and you might miss it. Not with this! 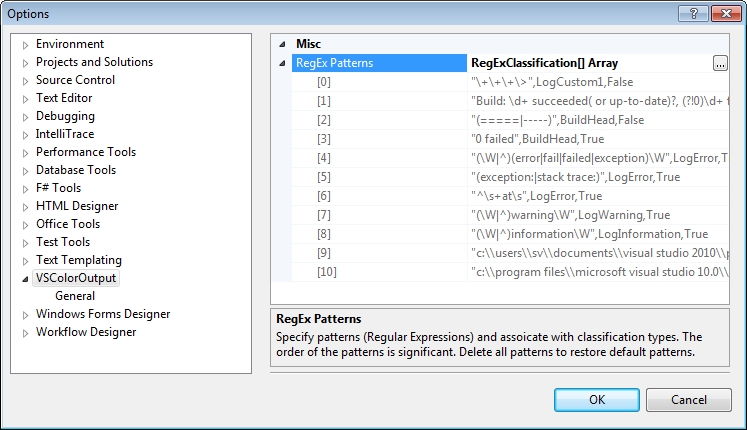 You can add some simple error regexs to catch common error expressions.